Porcelain veneers are an excellent way for patients to repair chipped, broken, or severely discolored teeth, as well as minor misalignments and gaps. The veneer is a thin shell of porcelain that the dentist affixes to the front of a tooth to cover its flaws. 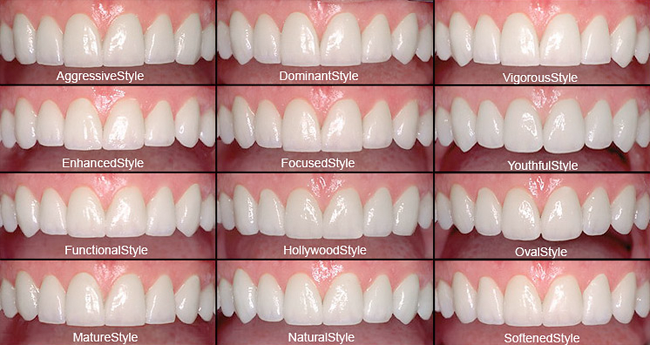 Porcelain veneers can change the shapes of teeth with natural-looking results, and they can also be used to correct severely stained teeth by giving them new, white surfaces matched by shade to complement surrounding teeth. Natural teeth have a glossy sheen because of the layer of enamel encasing the dentin of the tooth. Light passes through the translucent enamel before reflecting off the dentin. Porcelain is a ceramic material that, by its nature, replicates the sheen and luster of natural teeth by interacting with light in a similar way. Because they are made of porcelain, veneers can be accurately color-matched to the teeth surrounding them so that they blend into a smile. The porcelain, as a glass-like material, does not absorb stains as readily as other substances do, and as a result, patients receive long-lasting benefits from porcelain veneers. Patients from the Hudson Valley, Rockland County, and elsewhere may also consider combining veneers with other treatments such as Zoom!® teeth whitening or tooth-colored fillings for a total smile makeover. County Dental is committed to whole health care for our community serving over 105,000 patients in Hudson Valley. Contact us today.